Hello, everyone! I'm sorry I've continued to be somewhat off the grid the last few weeks. My new job has taken over my life and while I love it, blogging has been taking a backseat. But in awesome news, a very special four-legged addition is on her way to my family next week and that means you have a chance to win TWO MYSTERY ILLAMASQUA POLISHES! 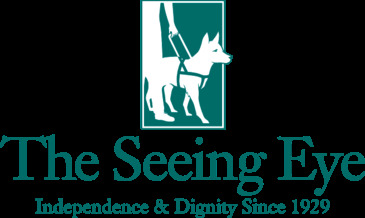 As you may remember, this contest last ran back in February 2012, when I received my first Seeing Eye puppy from the "P" litter, I ran a contest to guess her name. Seeing Eye Puppy #2, a female yellow lab from the "B" litter, will be arriving on 7/11. For those of you who haven't been following me for long, I am a raiser for the Seeing Eye Inc. of Morristown, NJ, the oldest guide dog school in the United States. 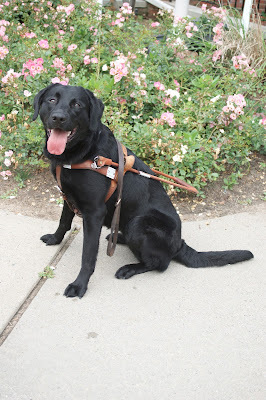 Read here about the beginning of my journey with Pebbles, a black lab who recently graduated the program. On 7/11, I know that I will be receiving a female Yellow Lab, who will be joining my six-year-old Chocolate Lab, Dakota, however, I do not know her name. The Seeing Eye names all of their puppies by assigning a letter to each litter in order of birth from A-Z. This makes it easy to recognize siblings and in fact, my puppy's sibling will belong to another member of my school club. What I do know is that she is from the "B" litter, meaning her name will start with a B. And this is where you all come in! From now until 12:01 EST on July 11th, take a guess through the entry in the Rafflecopter widget below as to what "B" name you think she'll have! Guess the right name and you'll be the winner! If there are multiple winners, I will randomly draw through Random.org. Is it going to be Bailey?? MANY BLESSINGS TO YOU AND WHAT YOU DO FOR OTHERS!!! Congrats on the new puppy, what a wonderful thing you do! BamBam. Only because your last pup's name was Pebbles. Congrats! And thank you for being a wonderful contributor to a wonderful cause! Beatrix. Congrats to you, and thank you for all you do!! Beatrice? What an awesome thing to do! It sounds like this is a great program. I'm still sticking with Blair! Bobo... I know it kinda sounds like a boys name, but it was the name of a rescue that my aunty had. She lived about 14 yrs and was just put down because from a healthy 80 lbs she went down to 61 lbs. I just felt it was a sign to add it here since the name just happened to start with a "B" as well.